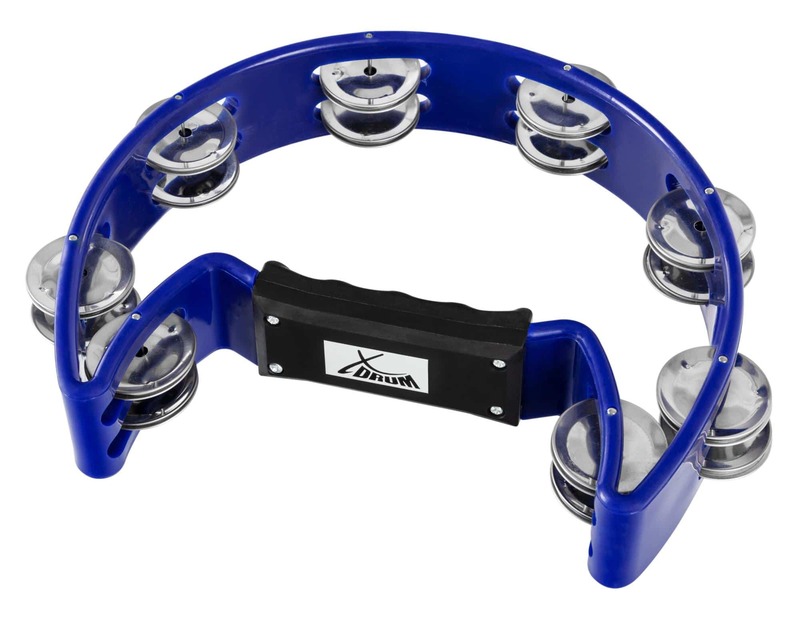 The XDrum Tambourine consists of a plastic frame in crescent design, and is equipped with pairs of concave metal plates (jingles). 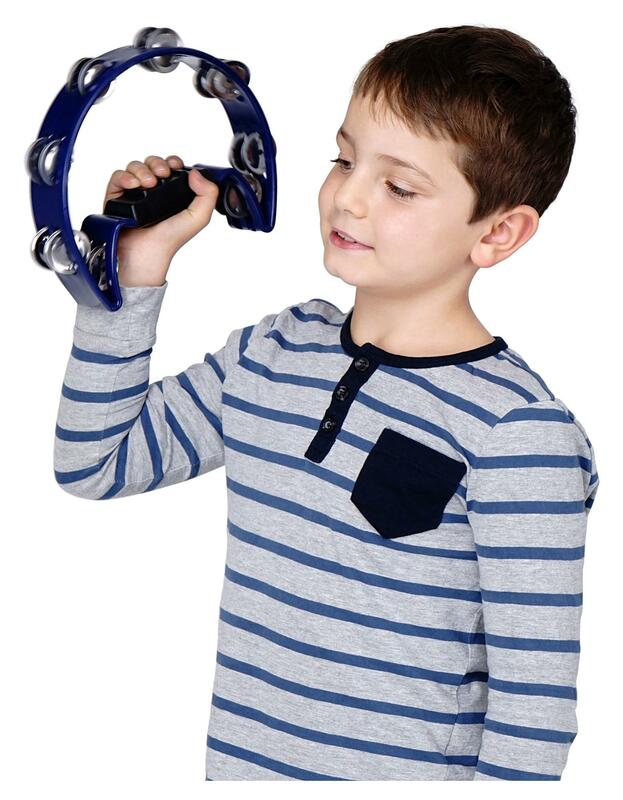 The tambourine can be beaten with fingers, palm, fist or mallet. Depending on the proximity to the frame, the short hard blow on the skin or the bells come in the foreground of the sound. During dances, the tambourine can also be beaten at the hip or the leg. 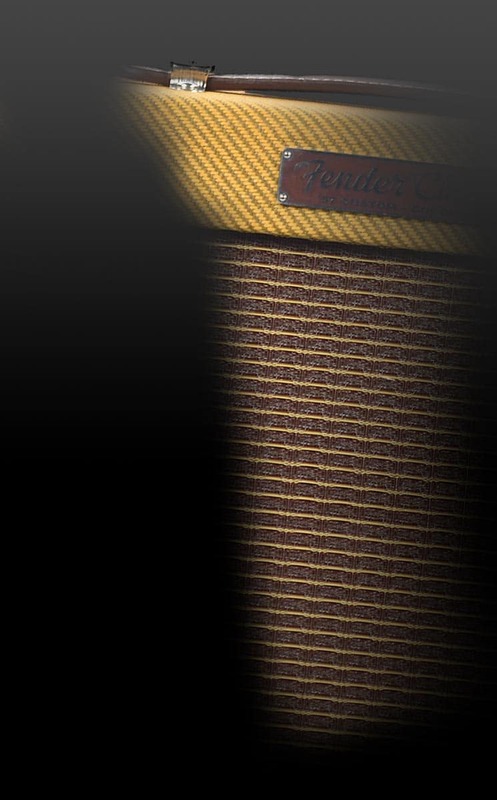 Also, a longer jingle sound can be generated by shaking or by driving the thumbs across the drum surface. Klingt gut und lässt sich sehr gut halten. Uneingeschränkt zu empfehlen! !